When I got some water soluble graphite pencils last summer, I thought this would be a great combination of subjects to try the varied shades of grey they could provide. It's a young Canadian lynx atop a rock formation and could be any time of year, though I envisioned it as early fall, before snow sets in. The rocks were great fun to do and are actually the focal point. 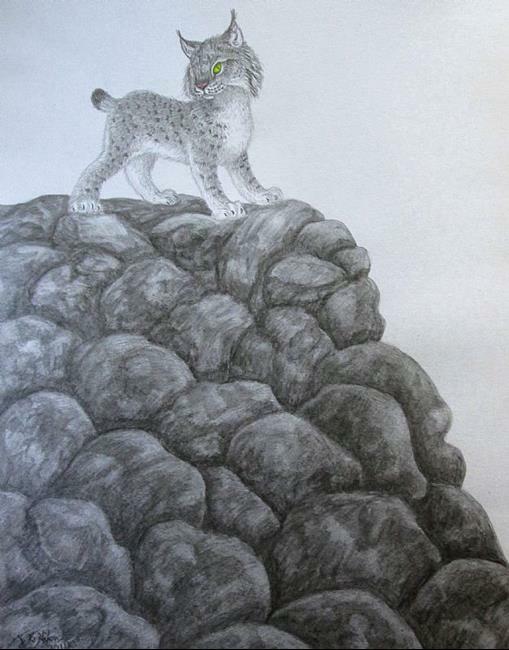 The lynx is done mainly in regular graphite drawing pencils, with the rocks in more of the water soluble ones. I'm sure it's only the first of many other pictures in this medium.